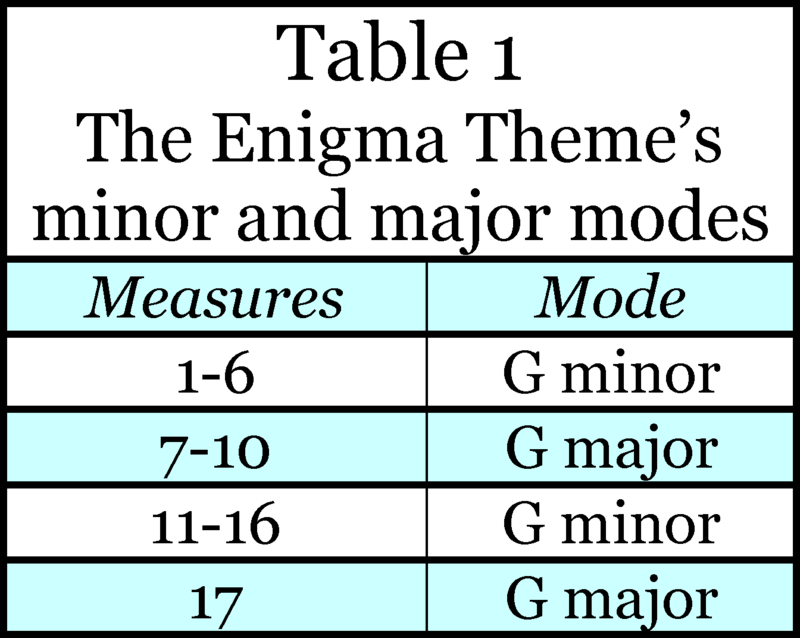 Why does Elgar frequently modulate between the G minor and major modes within the Enigma Theme? 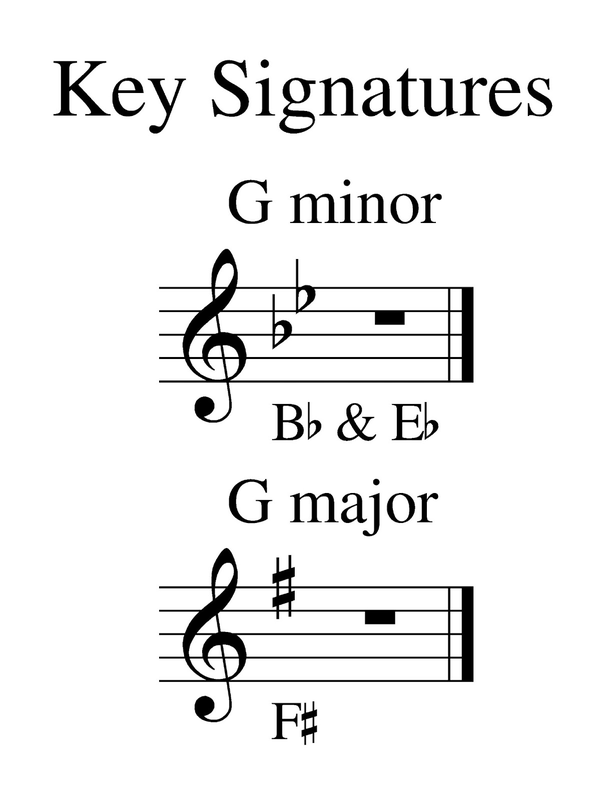 Besides serving as an excellent contrapuntal camouflage to obscure the source melody, there is an arcane yet obvious explanation, one that literally holds the keys to unmasking the secret melody to the Enigma Variations. The answer is so obvious even Julian Rushton must be prepared to acknowledge it. 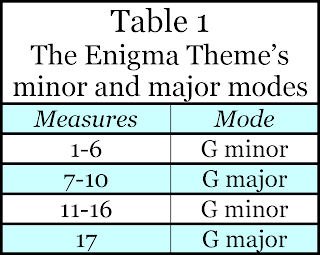 The Enigma Theme cycles between the minor and major modes of G (Table 1). 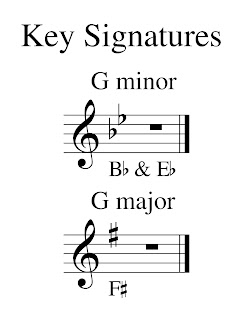 The key signatures for G minor and G major employ the letters B, E, and F to identify the accidentals B-flat, E-flat and F-sharp. Incredibly those same letters form the initials for Ein feste Burg. 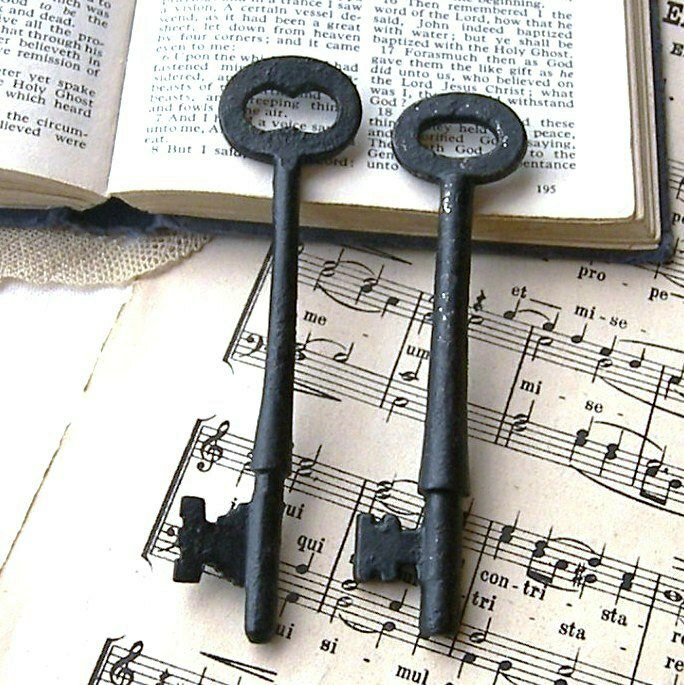 The Enigma Locks Cipher suggests the key to discovering the secrets of the Enigma Variations rests in the keys. In is a remarkable coincidence these identical initials are spelled out by the Mendelssohn Cipher in Variation XIII, ostensibly as the solution letters to the three asterisks in the cryptic title of that movement. The same set of initials is also furnished by the Letter Cluster Cipher and the Enigma Date Cipher. An ingenious Music Box Cipher in the Enigma Theme takes it step further by encoding all 24 letters of the title Ein feste Burg ist unser Gott into an anagram of phonetically spelled words and phrases in English, Latin, German, and Aramaic. The use of multiple languages undoubtedly hardens the cipher and confounds decryption, but there is a more subtle reason for Elgar’s linguistic foray. The first few letters of each cipher language form a stealth signature for ELGAR: English, Latin, German, and Aramaic. In a deeply symbolic gesture, Elgar signed his most elegant music cipher in code. This is not the only secret message he signed, for he also initials his Psalms Cipher. Timing is everything, particularly in music, and this cipher epiphany is no exception. 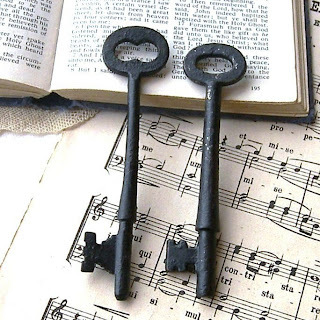 The discovery of the Enigma Key Cipher occurred on the evening of February 19, 2013. On that same day in 1899 Elgar completed his orchestration of the Enigma Variations. This is not the only example of extraordinary timing. The initial discovery of Ein feste Burg as the covert melody to the Enigma Variations took place on February 3, 2009 – the bicentennial of Felix Mendelssohn’s birth. The diverse music ciphers in the Enigma Variations make a profound and compelling case for Ein feste Burg, and still the evidence for Luther’s sublime hymn continues to mount into a towering mountain. To learn more about the secrets of the Enigma Variations, read my free eBook Elgar’s Enigmas Exposed.